This album contains music from the first EP until "Hear in the now fronteir" The first track, "Queen of the reich" showcases Geoff Tate´s incredible vocals and is a great way to open a greatest hits compilation. The only problem with this compilation is the choice of songs, especially the ones chosen from the early albums. Tracks like "No Sanctuary" "Suite Sister Mary" and "Roads to madness" should have been selected, but instead we have long tracks, like "The lady wore black" off their EP. The album still show the bands progression as the songs move from the early years to the later, more progressive sound. Standout tracks are "Bridge" "Someone Else? 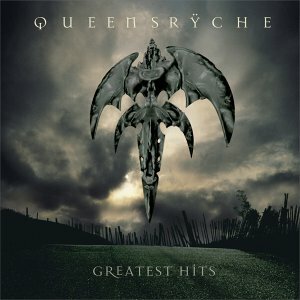 "(Probably the best track on the album) "Silent Lucidity" and "Chasing Blue Sky"
A good introduction to Queensryche, but it could have gotten five stars if it weren´t for the track listing of the songs from "The Warning" "Rage for order" and "Mindcrime"